How do you handle digital multimedia evidence to be trusted in court? Visit us at Forensics Europe Expo to find out! Forensics Europe Expo is the only international exhibition & conference that showcases the latest equipment and services as well as providing the definitive source of education, best practice, training and networking. Visitor registration is free and allows you access to the exhibition, seminar and networking drinks reception. Essential for any forensics professional, Forensics Europe Expo is the must-attend event to learn about the very latest technology and connect with leading suppliers. 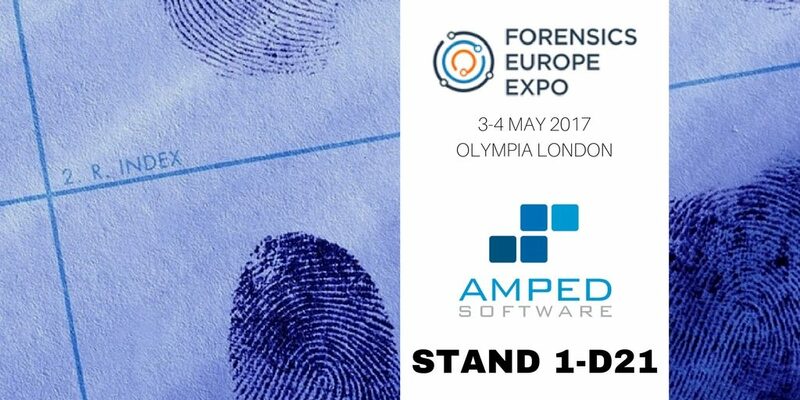 Visit the Amped team at Stand 1-D21 for your personalized demo and attend our seminars to learn how to properly handle digital multimedia evidence for it to be relied upon and trusted in court. For evidence to be relied upon and trusted by a courtroom, it must be dealt with correctly. We must ensure that all work is reproducible and repeatable with any image or video submitted, portraying fact, and not fiction. Image manipulation can be performed on a standard smartphone. Thus, when images are submitted as evidence we must be able to validate that they are a true and accurate representation of what they purport to show. Manipulation may have been necessary, but malicious manipulation may change the interpretation of the image and therefore the evidential meaning. Why not contact us to book a one-to-one meeting with the Amped team while we are in London! This entry was posted in Announcements, Events on April 26, 2017 by Darlene Alvar.